The Sadara mega project in Jubail is over 90 per cent complete and is well on its way to becoming the world’s largest integrated chemical complex ever built in a single phase, with more than 3 million tonnes of capacity per year. Saudi Aramco’s Downstream senior vice president Abdulrahman F Al Wuhaib says the Sadara project is more than 90 per cent complete, with a notable 1 million man-hours of planning, 9 million man-hours of engineering, and nearly 350 million man-hours of construction. Sadara will be the first chemical complex to crack naphtha in the Gulf region, which will enable the manufacturing of a diverse number of products never previously produced in the kingdom. Sadara’s full value will be seen in an economic ripple effect of industrial clusters, value parks, and the development of the knowledge-based research, engineering, and service firms to support them. While Sadara itself is set to employ more than 3,000 people, it is expected to also create economic opportunities for manufacturing and service businesses that would generate an additional 15,000 jobs in the Jubail area. Meanwhile, Sadara Chemical Company (Sadara) and Energy Chemical Sources Company (ECSC), a newly formed joint venture between Halliburton and Taqa, have signed a long-term supply agreement through which ECSC will purchase product from Sadara to feed a new chemical production facility to be built in PlasChem Park located in Jubail Industrial City II. PlasChem Park is a 12 sq km industrial park adjacent to Sadara and is being developed under the collaborative efforts between Sadara and the Royal Commission for Jubail and Yanbu (RCJY). Under the agreement, Sadara will supply Ethylene Oxide (EO) and Propylene Oxide (PO) to the new ECSC facility in PlasChem Park over a period of 20 years. ECSC is a local Saudi company that specialises in providing oilfield chemicals for the oil and gas industry. Commenting on the agreement, Ziad Al Labban, Sadara’s chief executive officer, says: "This strategic, long-term supply agreement with ECSC is a key step forward in the development of the local oil and gas chemicals market. Capitalising on Taqa and Halliburton’s combined knowledge and experience, and utilising the chemicals that Sadara will be producing, we will together support the kingdom’s oil and gas industry through the manufacturing of essential oil and gas chemicals locally." "PlasChem Park is uniquely positioned to enable and support downstream opportunities in many market segments. Specifically, we will enable many industries that rely on EO and PO, supplying 60,000 tonnes of EO and 20,000 tonnes of PO per year via pipeline to the PlasChem Park tenants, and we look forward to welcoming ECSC as the first tenant and the second in Jubail 2 after the Dow Reverse Osmosis Membrane project. PlasChem Park investors will benefit from the many shared services that are being developed in PlasChem Park, simplifying and streamlining their operations in the long run," says Mohammad Alazzaz, director of Value Park, Sadara. Mohammed Y Rafie, chairman of Taqa and ECSC says: "We are delighted to have completed this agreement with Sadara and we have every confidence that this strategic relationship will fulfill our ambitious plan to create a world class chemical production facility in Jubail to support Saudi Aramco Exploration & Production activities and customers in the wider region". Keith Barnard, a board member of ECSC and vice president of Multi-Chem, a Halliburton service, says: "This agreement marks the beginning of a long-term relationship with Sadara. We are confident they will provide a safe supply of raw material ingredients to support the manufacturing base we are establishing to serve Saudi Aramco and other valuable customers in the region. It also reaffirms our commitment to invest in the kingdom and support the burgeoning oil and gas industry there." The PlasChem Park is expected to attract diversified investments for downstream applications such as the production of oil and gas chemicals, construction materials, paints and coatings, as well as home and personal care products. These investments will create new jobs for Saudi nationals in the kingdom’s downstream industry, as well as contributing to the fulfillment of the Government’s vision to diversify the kingdom’s economy. 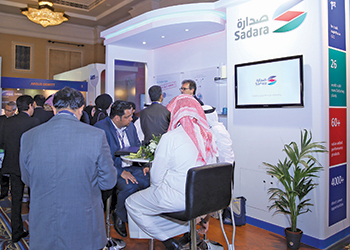 The ambitious start-up of the Sadara project is looking offer a rich portfolio of petrochemicals expected to be in full production by the end of 2016. 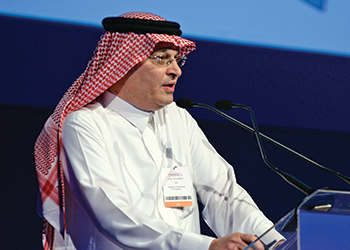 Sadara’s Value Park manager Mohammad Alazzaz is confident the joint venture (JV) between the Dow Chemical and Saudi Aramco will change how petrochemical business is done in Saudi Arabia. "The main driver for the project is the development and promotion of downstream petrochemicals locally. We will be developing many markets and industries down the chain," Alazzaz says. Sadara was established in 2011 as a JV between US-based Dow and Saudi Aramco. A $20 billion investment, this will be the first chemical complex in the GCC (Gulf Cooperation Council) area to use refinery liquids such as naphtha as feedstock. A mixed-feedstock producer, Sadara will also use natural gas liquids (NGL) as raw material for some its products. Based in Jubail Industrial City, the complex includes a 1.5 million tonne/year cracker and 26 new plants. Of those 14 will be introduced for the first time in Saudi Arabia, including polyolefin elastomers, isocyanates and polyols plants. Sadara will also produce amines, glycol ethers, polyethylene, and propylene glycol. The phased startup will begin with the ethylene and polyethylene envelope, followed by ethylene oxide and propylene oxide, with the final phase covering polyols, isocyanates and the rest. "It is a very complex plan that needs a long time to be developed from franchise to full production and we expect to start producing some of the petrochemicals in the second half of 2015 and to be truly completed by the end of 2016. We are talking about 18 months from start to finish," Alazzaz explains. A project of such scale has quickly turned into one of Dow’s main priorities. The company last year announced it is increasing its divestiture target to $7 billion-8.5 billion by mid-2016, including JV equity reductions, and has entered into an agreement to sell Angus Chemical – one of its previously announced divestment targets. Introducing the concept of cracking naphtha and producing some of the products for the first time in Saudi Arabia sound not only like a lot of work, but also like a lot of effort to convince downstream industries to switch away from their established practices. However, Sadara seems to have it all under control, as the project also involves building an industrial park, called PlasChem Park. It is a JV between Sadara and the Royal Commission for Jubail and Yanbu and is where many of Sadara’s domestic customers will be located. Separately, Sadara has secured a three-way deal with Saudi Kayan Petrochemical and Saudi Acrylic Acid Co (SAAC) to create Saudi Butanol, which too will be located in Jubail. This will be the largest butanol plant in the world. There is also Saudi Hydrogen Peroxide, a JV between Sadara and Belgium’s Solvay Group. The 300,000 tonnes per year plant is scheduled to begin production in 2015 and will be one of the world’s largest hydrogen peroxide propylene oxide (HPPO) plants. "So that’s what we are planning to do, ultimately shape the market and increase the availability of feedstock on the input side," Alazzaz says. "And then on the output side, it is important for us to enable the downstream industries in the kingdom." The products that Sadara will produce will go into a variety of industries, including coatings, medical, electrical, consumer products and many other applications. Sadara will be focused a lot on developing the GCC region, but will also be supplying its products to the global markets. This will work with Sadara marketing to the Middle East zone, while the rest of the world will be handled by the Dow marketing team. Alazzaz stresses on the importance Sadara will have on developing the downstream industries and creating jobs in the Middle East area. He also believes the region’s economic growth and vast population promise healthy demand for Sadara’s products.